Last week I had the good fortune to attend the Australian Meteorological and Oceanographic Society (AMOS) conference in Brisbane. The theme of the conference was ‘Research to Community’, so as far as science conferences go, there was a significant focus on matters of communication – from how operational forecasters convey tropical cyclone information, to using communication as a tool to secure research funding. With so many sessions, conversations and presentations, what do I think was the key message as far as ‘Research to Community’ goes? It comes down to one word, which came up more than any other in all of the communication-themed plenaries and presentations: audience. David Schultz (author of Eloquent Science) perhaps put it best in his plenary Communicating Science: Lessons for Scientists, Forecasters, Educators, and Students when he said ‘Pity the audience’. This isn’t to say ‘feel sorry for’ the audience, so much as ‘feel for’ the audience; think about who you are communicating to, what they want to know and how you can tell them so they understand. Rod Lamberts echoed this idea in his (7 am the morning after the conference dinner…) science communication workshop, when he said ‘Humans first’. All too often we forget that we’re trying to get through to other people, with their own lives, contexts, problems and predispositions. 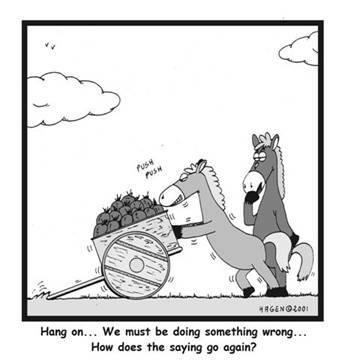 Unfortunately, the science communication cart often goes before the horse: we start with the how (‘we need a brochure’, ‘let’s get on Twitter’, ‘we should set up a blog’, etc.) before we consider the who – the audience. Work out why you want to communicate your science. What is your purpose? What do you hope to achieve? Determine who you need to reach to achieve your purpose. Is it the public, industry, the government, or a sub-set of one of these groups? The more specific you can be in working this out, the easier the remaining steps are. Work out what you are going to say. Make your message accessible for the group you identified in Step 2. It should be relevant, interesting and understandable to be engaging. Determine how you’ll get the message across. What format/channels/media are the people identified in Step 2 going to use. Always put your audience first. It’s not always easy, but it will help you structure your communication activities, and it will give your audience the chance to be as excited by your work as you are.